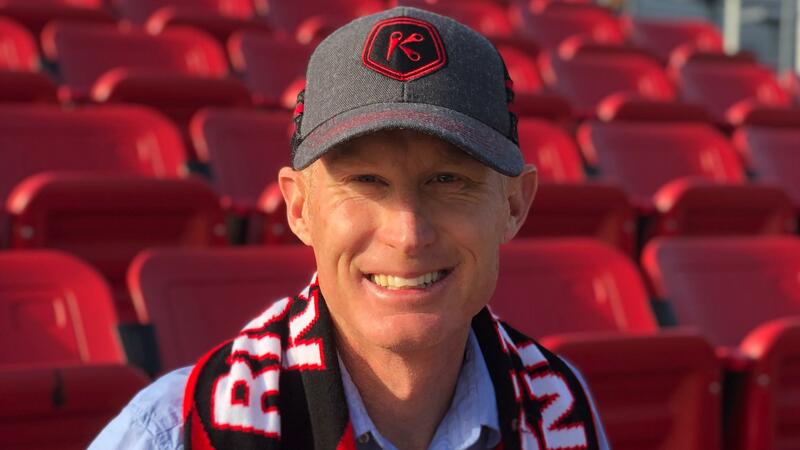 The Richmond Kickers announced today Matt Spear as President. Beginning in January, Spear will take over the reigns as the pro team transitions into the newly formed USL League One. "I am incredibly excited to work for the Kickers and Richmond as a whole," said Spear. "My style is servant leadership, not top down. I am focused on culture and conviction. We will be championship oriented with the players, coaches, and staff thriving on a growth mindset and focus on excellence and impact." Spear brings a wealth of soccer expertise, an entrepreneurial spirit, and a team-first attitude that will energize the Richmond community as we push the “Kickers Experience” to greater heights, both on and off the field. “I have admired Matt’s leadership skills since our first day on a soccer field together at Davidson in 1989. He was an incredible teammate who was able to bring out the best qualities in others, a skill that will be welcomed by the Kickers Family,” stated former Richmond Kickers Board President Rob Ukrop. “Helping Head Coach David Bulow sign and field a talented team is a key first step as is building a staff that is innovative and collaborative,” Spear added. “Our mission and goals will spread beyond pro soccer games. Soccer is the globe's most popular and incredible phenomenon and its connection to the RVA base and beyond is essential. The Kickers' fans, ignited by the Red Army, are an integral ingredient of our club and spirit. We will develop City Stadium and heighten the fan experience. We will expand our supporter base, we will accelerate corporate partnerships, and we will elevate the community. Sports are an incredibly powerful foundation of well-being, city pride, civic engagement." Spear has led the men’s soccer program at his alma mater, Davidson College, for the last 18 years. His NCAA Division I head coaching tenure included ten wins over ACC teams such as Virginia, Virginia Tech, Duke, and North Carolina. He also led the development for the $2 million Alumni Stadium. Before coaching, Spear had a successful sports marketing career including co-founding initiatives such as a college soccer broadcast series, several soccer websites and projects with adidas America, US Youth Soccer, and United Soccer Coaches. Spear was a Captain of Davidson's 1992 Final Four Team. More bio information can be found here. “Building upon his own success as a student-athlete on Davidson’s legendary 1992 Final Four team, Matt poured his heart and soul into this men’s soccer program and made it better – and for that, we are forever grateful. Although bittersweet to see him leave, we are excited for the next chapter in his journey and wish he and his family nothing but best wishes and even greater success,” commented Davidson Athletic Director, Chris Clunie. The Kickers will hold an introductory press conference next week with more details of Spear’s hire and the new direction for the pro team.